Whatever you're writing, have written, or are planning to write, we have a self-publishing solution in the most popular formats readers want. Meet ebook readers online, anytime. 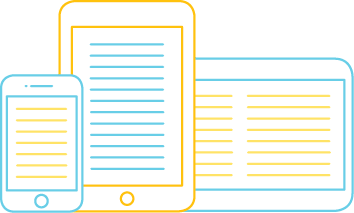 Our global ebook distribution is a simple way to share your book with the e-reading community. Learn more about IngramSpark ebook publishing. Choose from a wide range of options to create the perfect book for you, your genre, and your readers. High-quality materials and technology come together to form beautiful hardcovers and paperbacks that look and feel like traditionally-published books. Already know what type of book you want to make? Learn what it will cost to print.